I seem to be in a brush lusting phase at the moment! This Chanel one is at the top of my list. I really like the notion of the slightly tapered end to get to the little nooks and crannies. 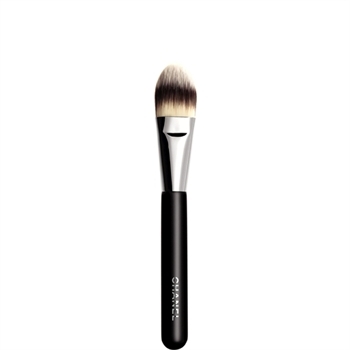 I also think the brush looks so stylish and professional - being slightly shorter might make it a bit easier to use as well. Anyone got £30 spare?! This cheeky madam is also on my list. I know a lot of make-up artists use a smaller brush to set make-up, rather than a massive one. I use a Clarins one at the moment which I love, but I think I would get a lot of benefit from having a smaller one - to concentrate the powder onto my oily areas. This one $8 from their website, I can't find it on Boots.